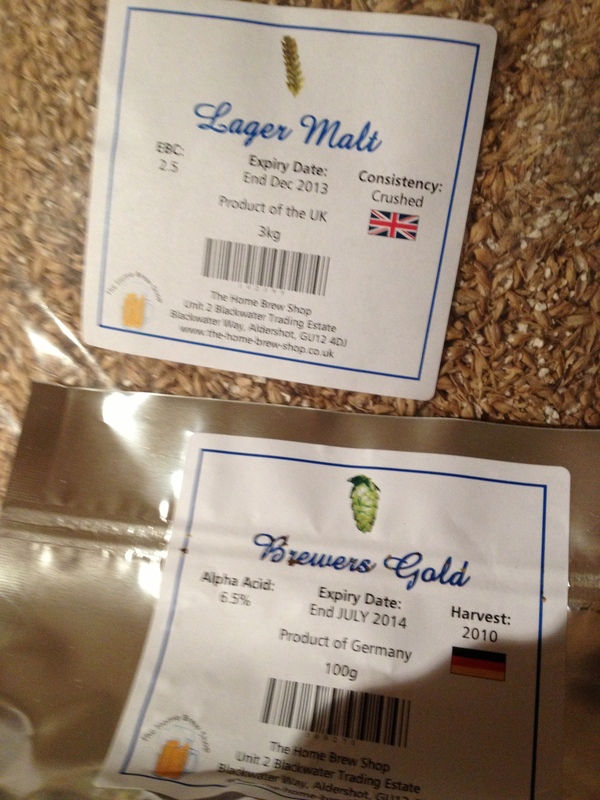 Ingredients and Brewery all ready to go! 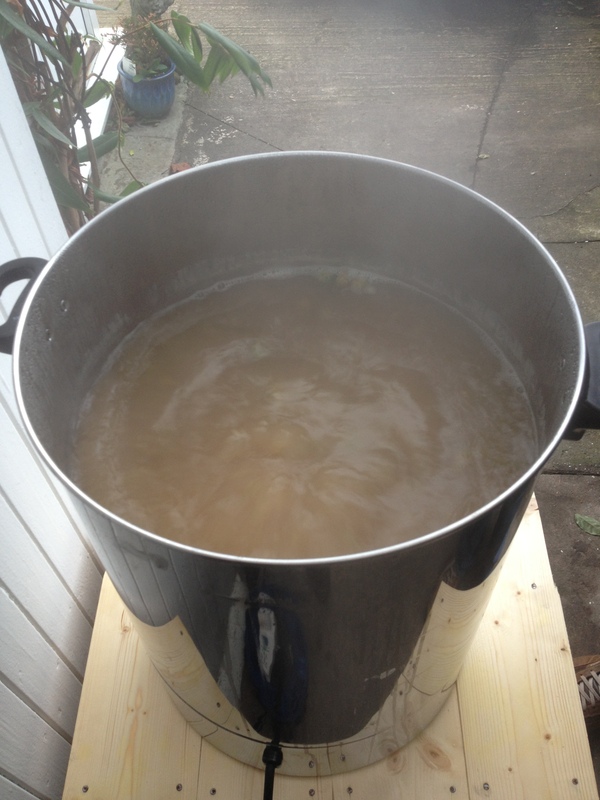 A strong boil in progress, and late hop additions going into the kettle along with the immersion cooler to sanitise it pre-activation. Cooling in progress. 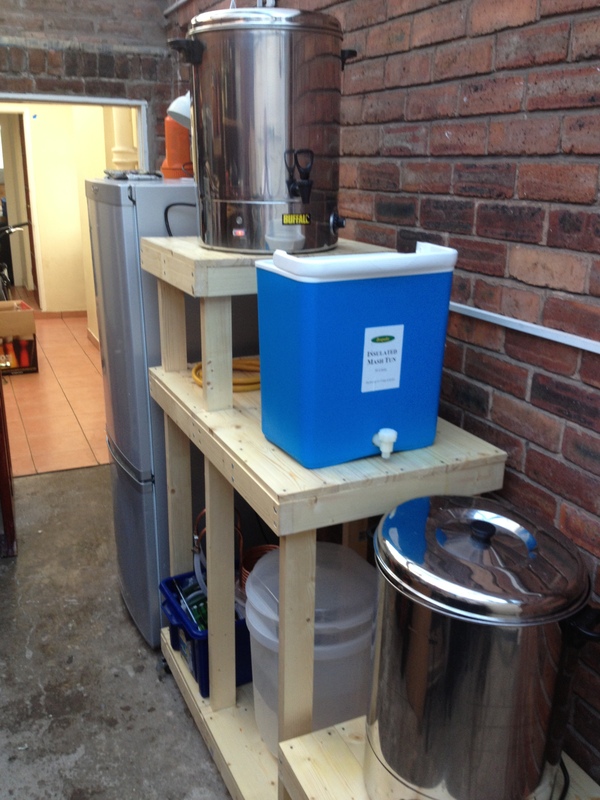 Even though I was more organised this time around it still managed to go dark outside before the end of the brewing session! 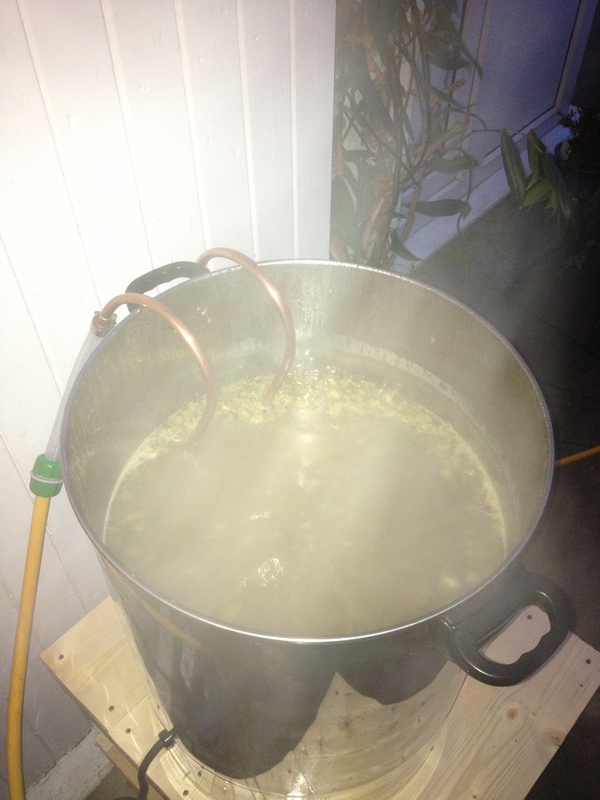 Perhaps drinking while brewing is a mistake?! 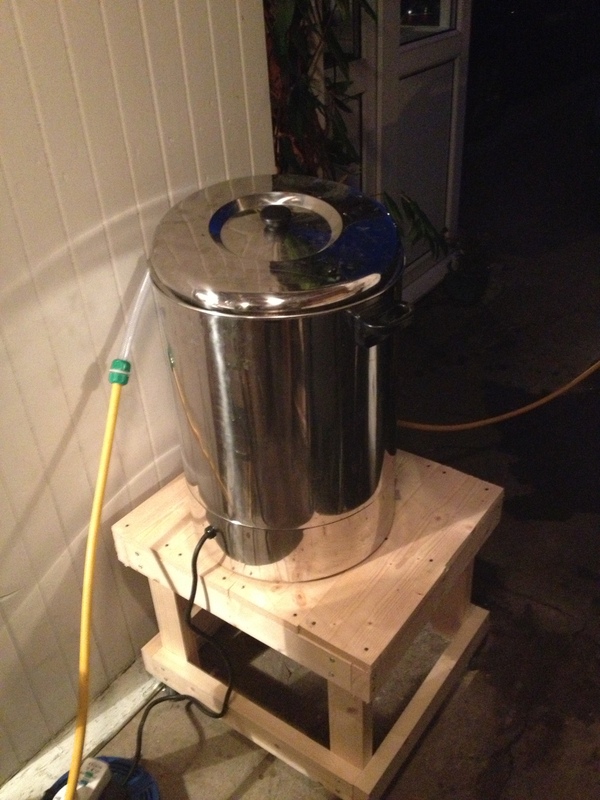 I also should probably mention my ‘idiot moment’ too; Following the blockage on Brew Day 1, I had invested in a Hop Strainer which was attached to the tap on the inside of the boiler. This was supposed to help catch all the loose hops and filter the other break material (trub) as the wort was drained into the fermenter… I dare say that the filter worked prefectly however, as it turned out that I hadn’t actually removed all of the offending blockage from Brew Day 1 from the inside of the tap, it still got blocked and again I was forced to jug out the wort by hand! Amongst all the muttered curses I vowed to replace the taps on the boiler and HLT before the next Brew Day came around! 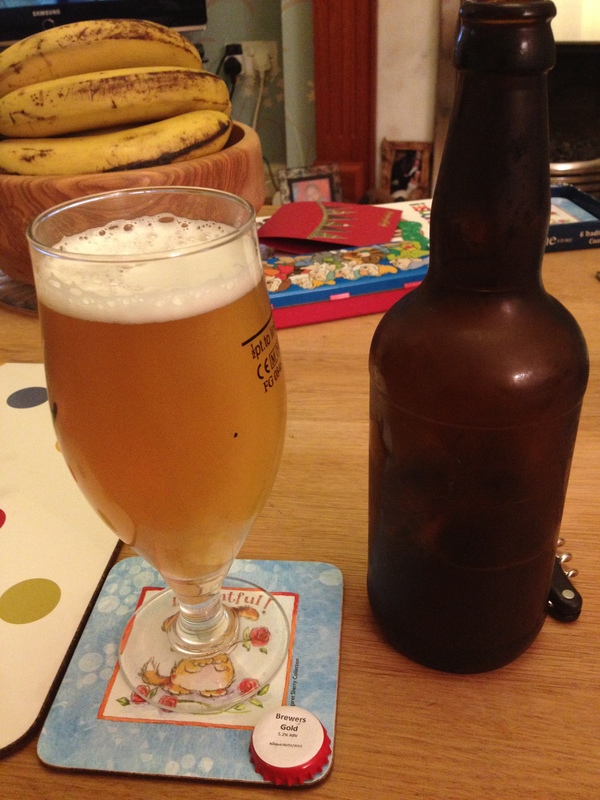 Two weeks later the beer was bottled. 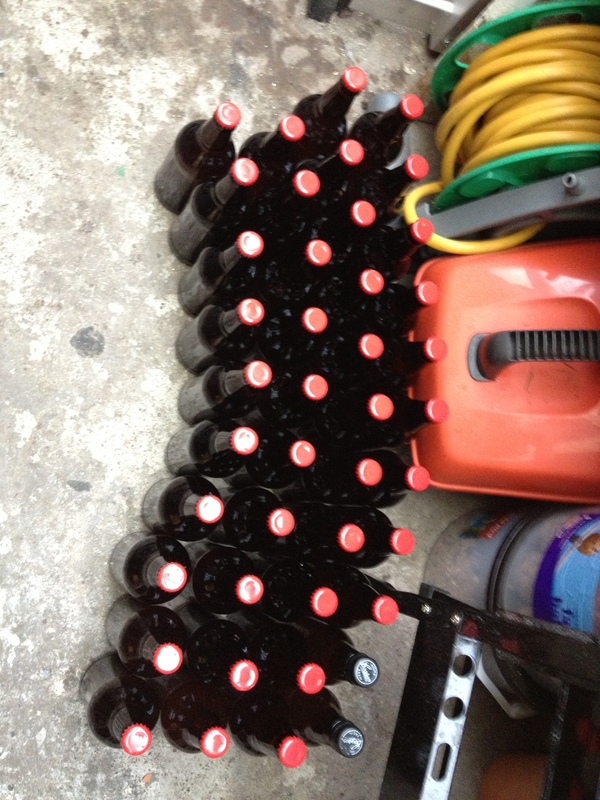 Note the two black caps of the plastic bottles used on this batch. These will allow me to gauge the level of carbonation inside the bottle over the following weeks conditioning. The firmer the feel of the bottle, the more CO2 has been produced by the remaining yeast eating the priming sugar. Very similar issues to the Summer Lightning. As the filtering from the boiler was not ideal, the finished beer is a lot cloudier that it should be, but as I am now starting to see the Summer Lightning clearing (after 4 weeks conditioning time) then this should do so too. Fortunately the cloudiness is also just an aesthetic problem only and has no bearing on the taste of the beer, which is a great relief as this beer tasted great even after two weeks! I’ll need to find a bottle of the real thing from somewhere so I can compare the recipe to the real thing.